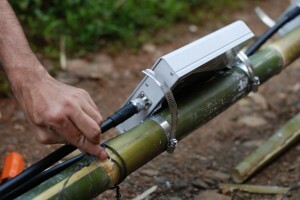 Rhizomatica.org has recently received a favorable review of their request for an experimental concession from the Mexican government to install local mobile networks in about 5,000 indigenous communities in Oaxaca, Veracruz, Puebla, Guerrero and Tlaxcala states of Mexico. This concession is a result of 2 years of working with these communities and the government, and could herald tectonic shifts in mobile industry regulation. 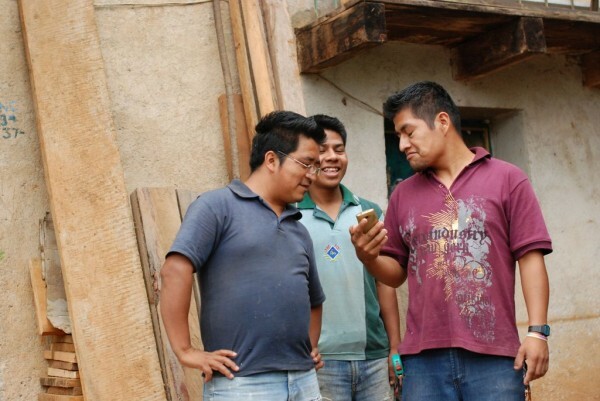 Now Mexican communities can join Rhizomatica and build their own small mobile networks, without having to go to the incumbent mobile operators and their suppliers. Traditionally, a mobile operator concession in a country of Mexico size costs 100’s of millions of dollars, meaning only large corporations can enter the market. Who always have their priorities elsewhere, but to serve rural communities. 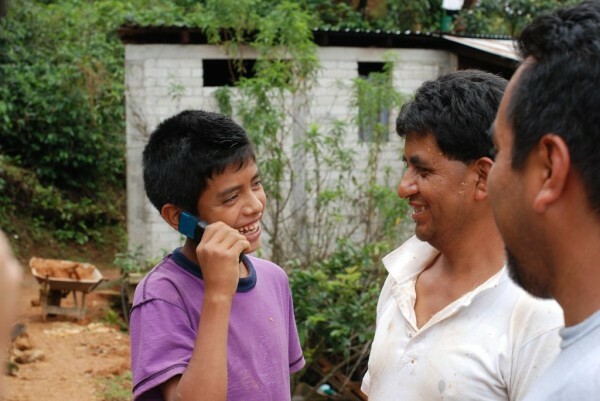 Mexican mobile operators refuse to install their equipment in villages with less than 5,000 inhabitants. This leaves out almost all villages in rural Oaxaca! The effect on coverage and access is strong with around 50,000 rural localities in the whole Mexico without cellular service. Yaviche was selected as one of the first to try the Fairwaves technology. A small community of around 700 inhabitants, Yaviche is located deep in the northern Oaxaca mountains – about 5 hours drive from Oaxaca City. On September 27th, 2013, villagers made their first local calls using Fairwaves UmDESK equipment, which has a built-in PBX and doesn’t need any external infrastructure to connect calls. Even if the unstable satellite Internet connection, as the one used by Yaviche, goes down, local life goes on without any disruption. Surprisingly, in a village of just 700 people which have never had mobile coverage, the network immediately detected more than 100 active phones. It turns out that people use phones as multi-functional devices with a calculator, alarm clock, games and many other tools provided in the phone. 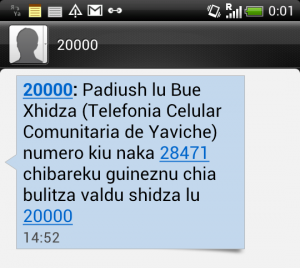 Two weeks after installation, the Yaviche mobile network has more than 400 phones registered. In a typical day the Yaviche mobile network connects 500-1000 local calls and delivers 3000-4000 SMS messages. Users find it a very useful tool, for example the village doctor now calls all his patients to check on them without having to walk around the whole day. People working in the fields can call home to let them know of their whereabouts and if there are any problems. Next step for the village is to get a stable internet connection to be able to connect to other surrounding villages. The doctor in Yaviche mentioned that it would be handy to connect Yaviche to a nearby community, Talea de Castro, because they have a clinic and a lab and he could diagnose people faster if he could call those. 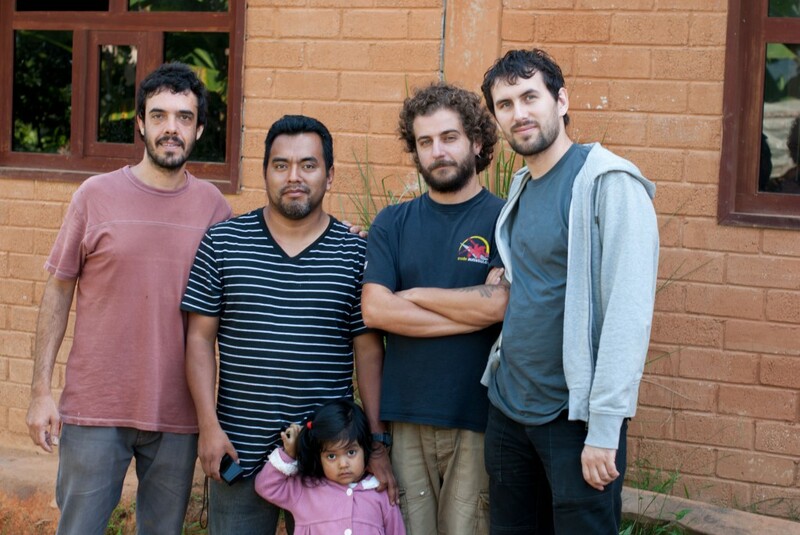 Luckily, Talea is a part of Rhizomatica and runs its own GSM network as well. It’s expected that all communities joining Rhizomatica will be able call each other at no cost. 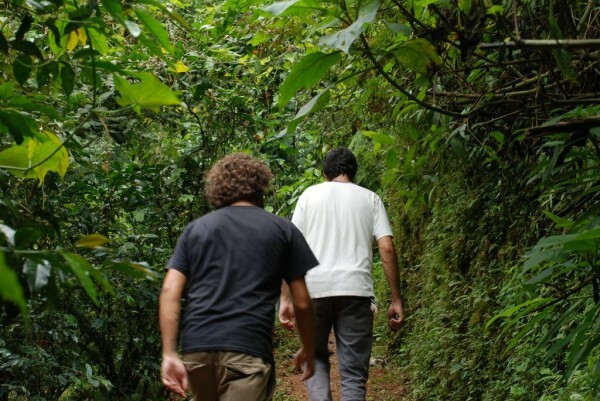 Many more communities are waiting to be connected during the next year, as we’re yet to see the real potential of the project. Spreading around the country, this network of mobile networks will only grow in value for its users over time. Interconnection with traditional mobile and fixed telephone networks is another venue for further development. Fairwaves is working with one of the biggest VoIP trunk providers in US to provide high quality yet affordable calling and messaging rates to/from traditional networks. 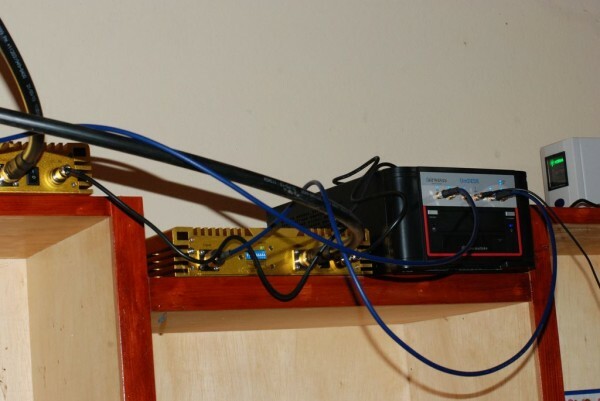 Speaking about the underlying technology, the network in Yaviche runs with an UmDESK, powered by Fairwaves UmTRX. With two TRXs (two ARFCNs) it allows up to 14 concurrent voice connections in full quality. When this capacity is exhausted, we could switch few settings and almost double capacity in exchange of some voice quality. For this installation we used two 2W boosters, one per each TRX. 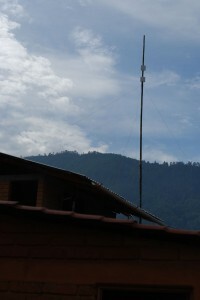 The base station is located in a corner of the village and thus two patch antennas are used to direct radio transmission to village center. Antennas are hooked to a 6m bamboo pole, placed atop a two-story building. 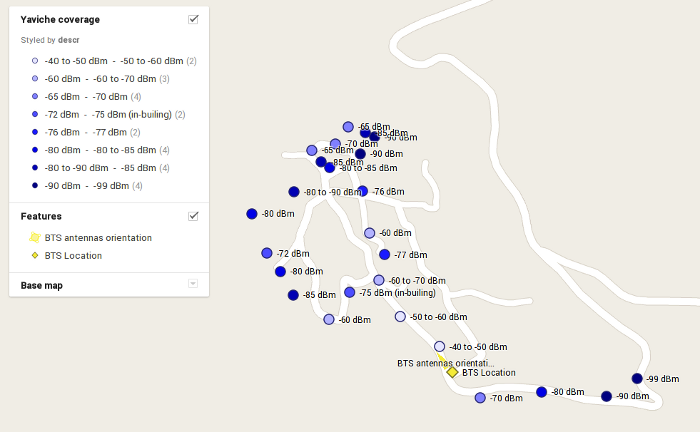 This setup easily covers the whole village, providing coverage even inside adobe buildings, typical for this area. UmDESK runs a Fairwaves version of Osmocom open-source software, the same as we’re using in the Netherlands. We started using Osmocom software at the beginning of this year and found that it works much better in real life deployments than OpenBTS. It almost never crashes, has more features, scales better and is more flexible. Not to say it evolves at an incredible pace, quickly closing the gap with proprietary GSM implementations. We’re happy to join the vibrant and exceptionally skilled Osmocom community as it ideally suits our vision and our business needs.